We sometimes draw an unappreciative distinction between the Orthodox Church’s “therapeutic” model of the Christian life and the “forensic” or legalistic model of Western Christian traditions. While not wholly without some foundation, this is basically silly. Western Christian traditions also are concerned with healing the soul and, as Orthodox Christians, we have a long history of law. Not only canon law governing things like how a diocese functions but also very legalistic teaching on sin and confession. In others, Orthodox moral theology can be every bit as legal (and legalistic) as anything in the West! Looking at the ways in which moral theology become moralizing, some Orthodox Christians have downplayed or even dismissed the importance of moral theology. But as youth ministers, having no familiarity with the moral tradition of the Church is like trying to be a physician without knowing anatomy or an engineer who doesn’t know mathematics. It just ain’t gonna happen! We need to know something of moral theology if we hope to guide young people successfully through the many struggles they’ll face as they move from childhood into adulthood. Broadly, moral theology has two concerns: casuistry and virtue formation. 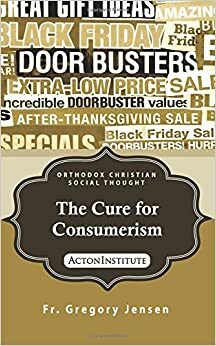 Casuistry, or the objective analysis of moral issues, has a bad reputation (and not just among Orthodox Christians). But to help someone live a virtuous life, we need to know what are the moral limits of our life in Christ, Casuistry is how we discern the moral boundaries that we can’t transgress and still remain in communion with Christ and the Church. Casuistry is also important because, unlike virtue, sin is boring. We are all of us good in unique ways. There are an almost infinite number of ways for us to live morally good but moral goodness reflects the Infinite Goodness of God. Sin, on the other hand, is monotonous and predictable. If a morally good life opens us to God neverending love, sin is narrowing our vision. Virtue makes us more than we were yesterday, sin makes us less than were. But we need to remember, objective morality isn’t an end in itself. It does, however, remind us that we are all broken in similar ways (for more see Be the Bee #124). We aren’t going to grow in holiness as disciples of Jesus Christ because we don’t violate a short list of moral do’s and don’ts. So in addition to keeping the Commandments, to not sinning, the fathers say we need to cultivate virtue. We need to not simply do good things now and then, we need to be in the habit of doing good things. I would define virtue this way. Virtue is made up of those habits of thought and action that lead to a life of Christian holiness. If casuistry, objective morality, sketches out the boundaries of the Christian life, virtue provides us the content of that life. In addition to thinking of sin as individual, morally bad actions, we also need to think of it as any habit or action that undermines the fruits of the Spirit. What, for example, am I doing that robs me or others of joy or peace for example? How am I being unkind? What are the ways in which I’m unloving or selfish preferring my own will to what’s best for the people in my life? In the next few classes, we’ll look at particular moral issues that are currently being debated in the culture. We’ll do this with an eye to answering the kinds of questions I asked here. While we shouldn’t use the moral tradition as a club to beat people or as an excuse to not love others or for self-promotion, we need to understand that what the Church says is objectively immoral are those things that undermine love and the other fruits of the Spirit that St Paul lists. ← “Male and Female He Made Them”: Really!